available at The Robin’s Nest! Adam Sartwell is one of the three founders of the Temple of Witchcraft, along with his partners, Steve Kenson and Christopher Penczak. Gifted with psychic talents from a young age, as a teenager, Adam experienced a recurring dream about his own death, leading him to study religion and spirituality and leading him to the study of Witchcraft. After preparing to not see his sixteenth birthday, Adam told a close friend about his dream, and she helped to avert the accident he foresaw, with Adam being narrowly missed by a car that almost ran him down while crossing the street. After this experience, he delved even deeper into the Craft, becoming a local teacher and coven leader in his native Vermont. ​15min, ​30 min and 60 min Readings Available. 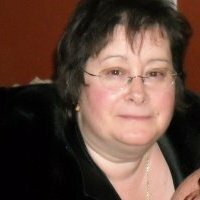 Readings with Lynne-Marie are by appointment only and can be booked by calling 508-474-9371 or through her website at www.lynnemariespiritmedium.com. 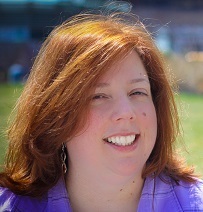 Danielle Dionne is a psychic medium, healer and teacher. Called to spiritual work at a young age, Danielle has been connecting to the other side through mediumship since the age of six. With an enthusiastic and positive approach, Danielle provides helpful and healing opportunities for guidance, growth and connection to departed loved ones during her sessions. A devoted teacher, Danielle is passionate about her subject matter. 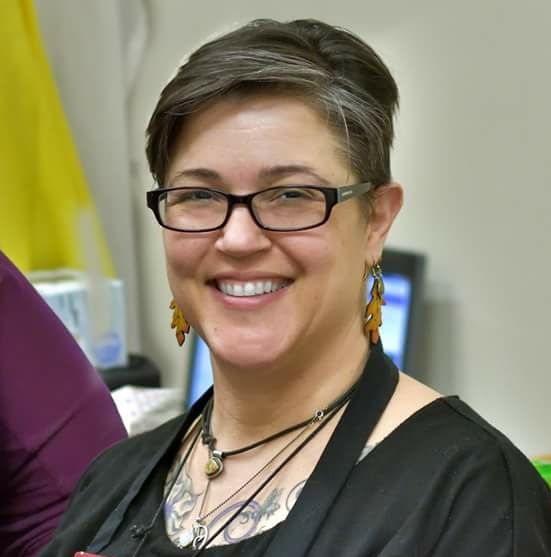 Her classes are dynamic and offer constructive feedback, encouragement and direction.Danielle offers classes, development groups, readings and healing sessions out of Centered Heart Studio in Bedford, NH and The Robin’s Nest in Bellingham, MA. 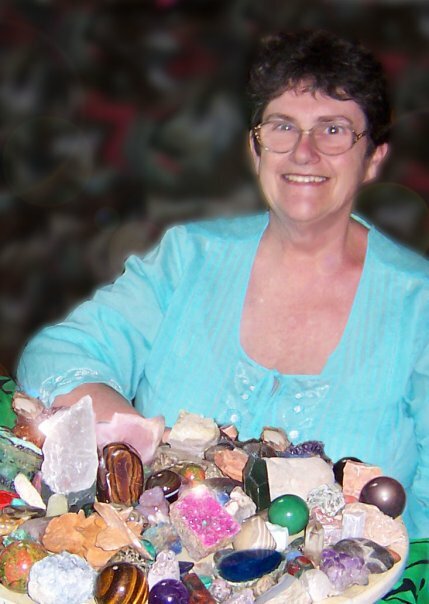 She is a frequent participant in local and regional psychic and holistic fairs. 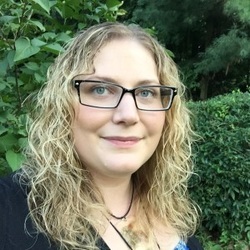 Danielle’s eclectic practice draws upon a vast foundation in parapsychology, mediumship, healing arts, animal communication, shamanism, witchcraft, herbalism and rootwork. Ever evolving, she is committed to her spiritual growth. Danielle has studied advanced mediumship at the Arthur Findlay College in Stansted, England. She is a Usui and Karuna Reiki® Master Teacher, Integrated Energy Therapist, and Advanced Soul Therapy Practitioner. Danielle is also an ordained minister offering wedding ceremonies, rites of passage, house clearings, blessings and funerals. She is a member of the Temple of Witchcraft and the Hermetic Order of the Golden Dawn. Please check the calendar of events page for her reading dates. Dave fell in love with Tarot at 11 years old. Coming back to it as an adult is a true joy and part if his general sense of ministry and holistic counseling /consultations. His readings are one part intuitive, one part psychological, with a teaspoon of Law of Attraction–and always enlightening, sometimes challenging but always fun. 15 min, ​30 min and 60 min Readings Available. David is available for House Parties. Rages are $25 pp, max of 8 people or 2.5 hours. Please email info@therobinsnestma.com with “David Erwin House Party” in the subject line for more information and availability. Mat Auryn is a witch, writer, professional psychic, and occult teacher throughout New England. He has been drawn to the occult and metaphysical since an early age, reading books on witchcraft at eight years old. He is an initiate of Black Rose Witchcraft and a priest in Sacred Fires Tradition of Witchcraft founded by Devin Hunter. He has also studied with various other traditions and teachers including Jason Miller in the Sorcery of Hekate. He is a devotee of the Covenant of Hekate founded by Sorita D’Este. He writes for Patheos Pagan in his blog For Puck’s Sake, The House of Twigs, Horns Magazine, and on his personal website. He has been featured in various magazines, radio shows, books and other periodicals such as DisInfo, The Wild Hunt, Down at the Crossroads podcast, Raise the Horns Podcast, Magick Magazine, Horns Magazine, Moon Books, Cutline Press, Just Julie, Magical Experiments, and more. Mat Auryn is ranked the second most influential person online in the field of neo-paganism and within the top 100 in divination by Agilience. 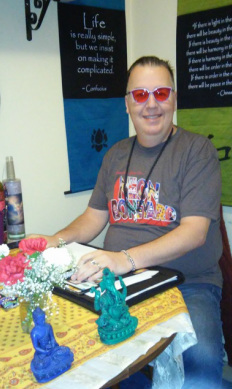 He has been called the Oprah of occult books by publishers of esoteric, metaphysical, and spiritual books. 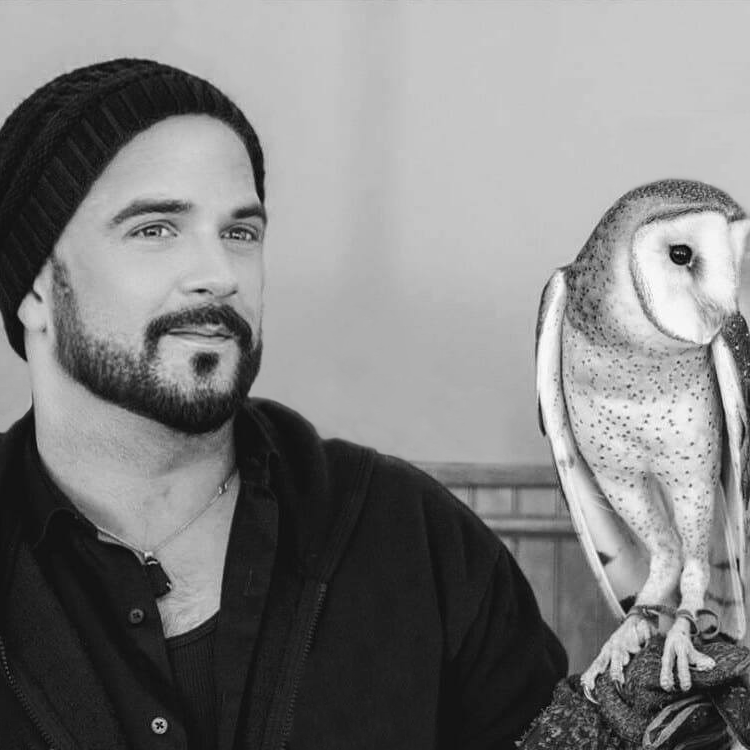 Mat has had the honor of helping thousands of people gain clarity through his skills of psychic ability and tarot reading throughout the world over the last decade. He has been interviewed on radio, in magazines, and on several websites and private newsletters. Mat teaches various metaphysical and occult subjects ranging from psychic development, magickal empowerment, working with spirits, divination, energy healing, lucid dreaming, divination, astral projection throughout New England including Salem, Massachusetts, known internationally as the Witch City. Guided by Spirit & Intuition since she was a child, Robbi has spent her lifetime developing her psychic skills. Using tools such as Channeling, Automatic Writing, and Oracle Cards, she imparts messages to those seeking guidance. Her aim is to help people discover how they might walk their own path through the world, and how they might find healing and direction along the way. Robbi’s readings are deeply rooted in compassion and seek to constructively offer insight and guidance as people move forward on their life’s journey. Robbi Packard is the Proprietress of The Robin’s Nest. A witch and High Priestess of the Craft, she has helped to foster a thriving pagan community by setting the example of kindness and compassion while walking in her Personal Power. Robbi is a General Member of the Temple of Witchcraft and an initiate of the Ash, Birch & Willow Tradition. She is an artist, craftswoman, community leader, charity organizer, business owner and – most importantly – a proud rescue-puppy mom. She has obsessions with gardening, photography, fabric, yarn and coffee and strives to enjoy a combination of these things every day. his blessings as a Medium, Scot also communicates with spirit guides & guardian angels & is also available for Home & Business Cleansing. Scot is overjoyed to be reading at The Robin’s Nest! He is extremely grateful for his blessings & thanks his Guardian Angels; His Mother, Janet, & His Aunt Ruth who were also gifted with Psychic abilities & are his Guardian Angels & Spirit Guides. Scot also conducts “Psychometry” readings or readings of photographs. Scot looks forward to meeting new clients & working in a place of wonderful, loving energy & blessings. ​30 min and 60 min Readings Available. Sha Blackburn is the LoonWitch; an internationally known psychic and student of life. She is known to be compassionate, insightful, and “scary accurate”. 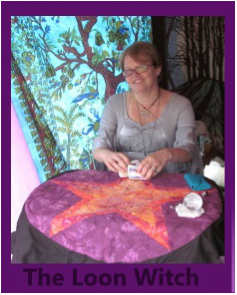 She specializes in tarot readings, rune readings and aura photography. She got her start as a young girl with augury. She is a reiki master teacher, crystal healer, and holistic therapist certified in reflexology, acupressure, and NLP. She has been a member of the NAPW, ADF, American Tarot Association, and is a member of the Rune Guild. She was named an “Inspirational Woman of the Year” by the Women’s Radio Network in 2014 and was named a “Woman of the Year” in 2012 by the NAPW. She is passionate about life and helping others to learn, understand and cope. She has been featured on FM and AM radio shows since 2003, and has been teaching divination, healing and metaphysics since 1997.More than credentials and initials, Sha uses her motivation, healing and psychic abilities to help people transform their lives. Now booking appointments at The Robin’s Nest! Please call (508) 789-5141 or email loonwitch@gmail.com to make a reservation. Reservations are available weekday evenings by appointment. Reading Rates are $45 for 30 min or $80.00 for an hour. Internationally known psychic Starra offers you over forty years of experience. 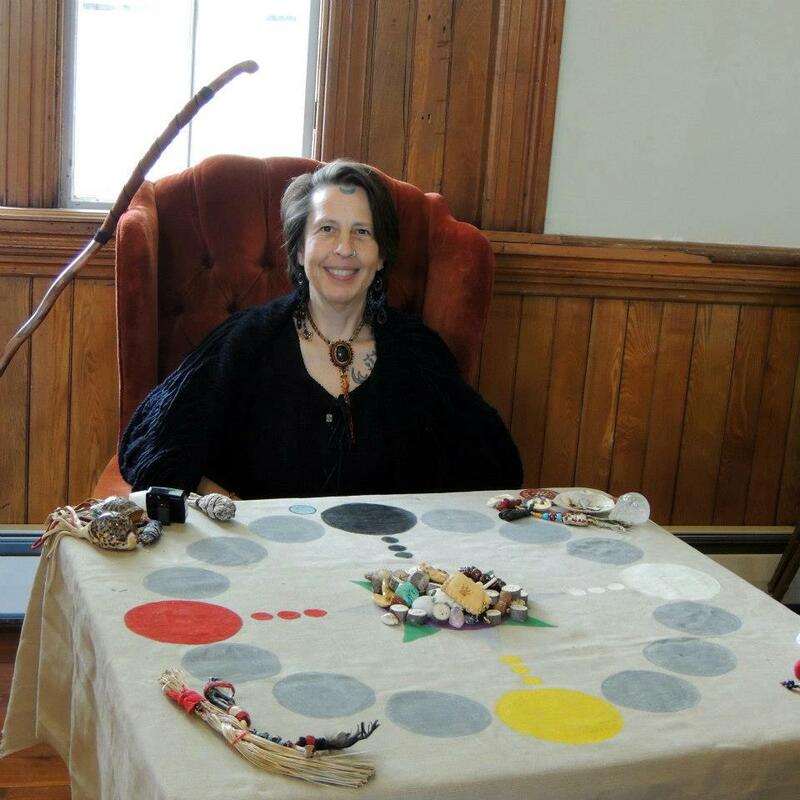 Her working background includes psychic reading for Regina Russell’s tea room, the House of Zodiac, the Mystic Tree of Life, Lady Dianne’s, entertaining for the Odyssey yacht line, and colleges throughout Massachusetts. She has read at many psychic fairs such as Ramona’s and Mystic Horizons, and at hotels and restaurants in Mexico and the Caribbean. Several radio and cable television shows have covered her special abilities. Her readings provide valuable insight into your life and walk you through some of those important issues that you face. Together you will discover more about yourself and your present course of action. Then you will delve into future events and the possibilities that are ahead of you. ​​30 min and 60 min Readings Available. TOTEM BONE READINGS: Through the Sacred teachings of Native American Spirituality, Totem Bone Readings offer unique messages to you. Discover what totem energy you should be working with, what direction you should travel in your life, and learn what the universe has in store for you. Utilizing artifacts Brother Granite earned during his Sacred Pipe Keeper Trials, you will be given a guidance from the Native Totems in a personal way. NATIVE AMERICAN ORACLE READINGS: Using a Native American themed oracle deck, Brother Granite will offer you guidance through each direction of your life in the Medicine Wheel. He will offer insight to your current challenges as well as illuminate the blessings that are in your life. These readings provide you a true sense of self awareness and guidance for the near future. 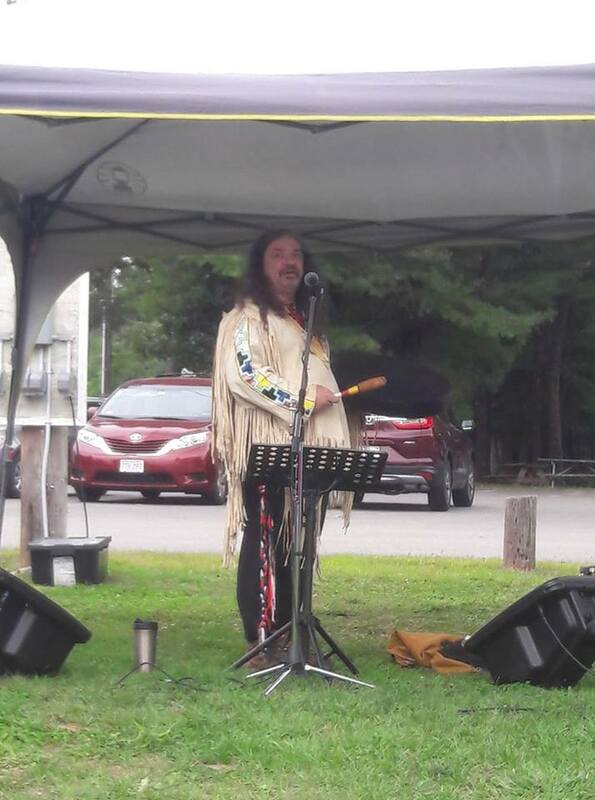 DRUM HEALING SESSIONS: As a trained drum keeper and pipe carrier, Brother Granite is able to offer profound healing through the heartbeat of the drum and sacred chants and songs. Each session is infused with Reiki and allows you to feel connected to the natural world while receiving a sense of inner peace and balance. Bio: Brother Granite was mentored in Native Spirituality Earth Wisdom and Awasos Aqueni Ceremonialism; an Eclectic Native Inter-Tribal Shamanic Spirituality deeply rooted in ancient wisdom. He has received the honor of becoming a Pipe Carrier from a Native Elder Spiritual Shaman in 2010 and ascending to a Ceremonialist, healer and Mentoring Elder in his own right. Brother Granite is a mixed heritage Native American Indian with two decades of experience as an Awasos Shamanic Ceremonialist. He has had the honor of being mentored by wise Medicine Woman and Medicine Men which has blessed him to be balanced as a Shaman. 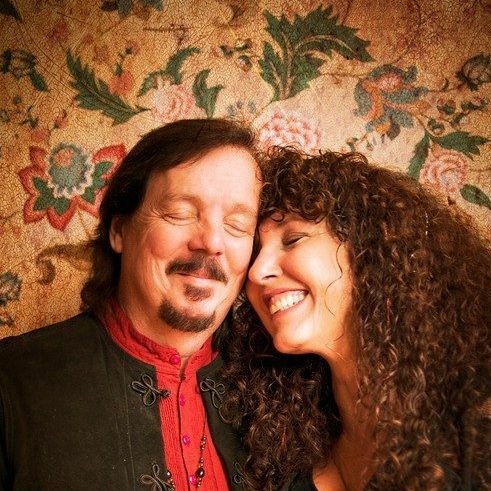 He is profoundly connected to holistic healing and the sacred rites of Awasos Shamanism. He has a deep connection to the Totems who aid him to listen to your true spiritual voice. His lifelong relationship with Bone Medicine allows him to innately awaken and heal your Sacred Self while the Totems guide you on your journey. With over a decade as a Drum Leader at Pow Wow he understands the divine connection to the drum and your Higher Power. The ancient energies of the Shamanic Drum are a catalyst in providing a deep spiritual healing to your life. As a Reiki Master he becomes a Conduent of Universal Light Healing through Energy Healing. A renowned Story-Teller, he has created a unique Shamanic Oracle Deck that can guide your seeking’s in your personal journey. As a Spiritual Elder he is available for teachings as well as Spiritual Guidance providing both his listen skills and advice. The Robin’s Nest and regularly at the Enchanted Forest in Taunton, MA. Brother Granite offers 30 min and 60 min readings. Raven & Stephanie have a special way of reading together with their decks, The Well Worn Path and The Hidden Path. This unique perspective offers the querent a twofold opportunity for guidance. Walk ins are welcome, however, Appointments are highly recommended! Reading Rates are $30 for 15 min or $50 for 30 min or $100 for 60 min. Hoops of Life Divination (HoLD) is a system of divination I developed as the result of more than 25 years of walking my own spiritual path. It is designed to create awareness of the places in your life that await your attention, so you can active healing and nurture your soul’s quest to achieve or restore wholeness. This unique system for exploring personal rhythms combines the wisdom of nature as revealed through the use of animal allies, runes and stones as guides to understanding the cycles of life. The HoLD system also incorporates wheels of life such as the Celtic Wheel of the year, and aboriginal wheels of the earth along with the cycle of life-death-rebirth to reveal correspondent pathways within. During a HoLD consultation, the symbols work as a guide that help you listen to what your physical, mental and emotional being is asking for in order to mend new or long-standing wounds. When you come to a consultation with questions like “What is this pain trying to communicate?” or “What is the underlying source of this dis-ease?” you may be astounded and powerfully affirmed by what is revealed. I welcome the opportunity to embark on a HoLD sojourn with you and discover the cycles and seasons of your life, learn how they are affecting your experience, and uncover the guidance you need to shift patterns calling for healing.